Fungi are of fundamental importance in terrestrial ecosystems playing important roles in decomposition, nutrient cycling, plant symbiosis and pathogenesis, and have significant potential in several areas of environmental biotechnology such as biocontrol and bioremediation. In all of these contexts, the fungi are growing in environments exhibiting spatio-temporal nutritional and structural heterogeneities. 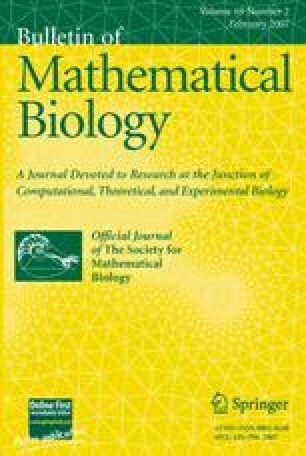 In this work, a discrete mathematical model is derived that allows detailed understanding of how events at the hyphal level are influenced by the nature of various environmental heterogeneities. Mycelial growth and function is simulated in a range of environments including homogeneous conditions, nutritionally-heterogeneous conditions and structurally-heterogeneous environments, the latter emulating porous media such as soils. Our results provide further understanding of the crucial processes involved in fungal growth, nutrient translocation and concomitant functional consequences, e.g. acidification, and have implications for the biotechnological application of fungi.